The Indonesian trade mission on Apr. 26-28 to Dhaka, Bangladesh, has recorded US$279.19 million in potential transactions, which includes train cars, automotive products, food and beverage products and spices. “As an emerging market, Bangladesh gives Indonesia an opportunity to increase trade and investment,” Arlinda, the Trade Ministry’s national export development director general, said in a statement The Jakarta Post received on Monday. Arlinda said the mission was a follow-up to President Joko Widodo’s visit to Bangladesh in January, when the President agreed with Bangladeshi Prime Minister Sheikh Hasina and President Abdul Hamid to boost economic cooperation between the two countries. He also called on Indonesian entrepreneurs to explore the large potential for exporting various products and commodities to the Bangladeshi market. 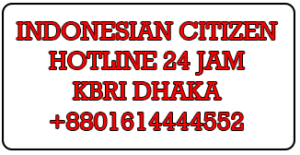 The Indonesian delegation ran a business forum and the Indonesian Fair at Le Méridien Dhaka during the trade mission, which involved 93 businesspeople from 43 companies. 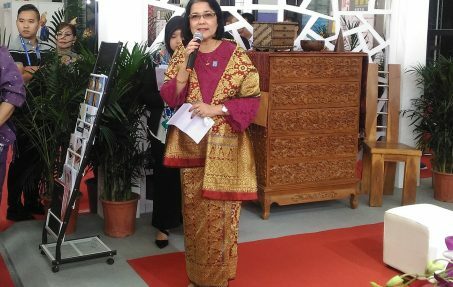 The Indonesian Fair saw some 10,000 visitors, as well as a memorandum of understanding that state-owned airport operator PT Angkasa Pura I and PT Angkasa Pura Property signed with Bangladesh’s Zaman Company Limited on developing property to support the tourism industry.